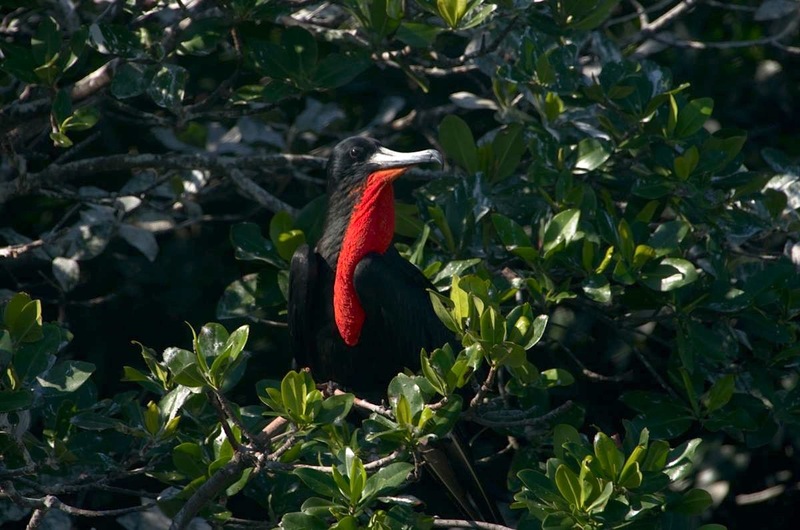 You can read about Fregata magnificens and their courtship displays, gular pouches, nesting habits, names, uses to mankind (if any), and 10 magnificent facts about them at my Rolling Harbour site HERE. 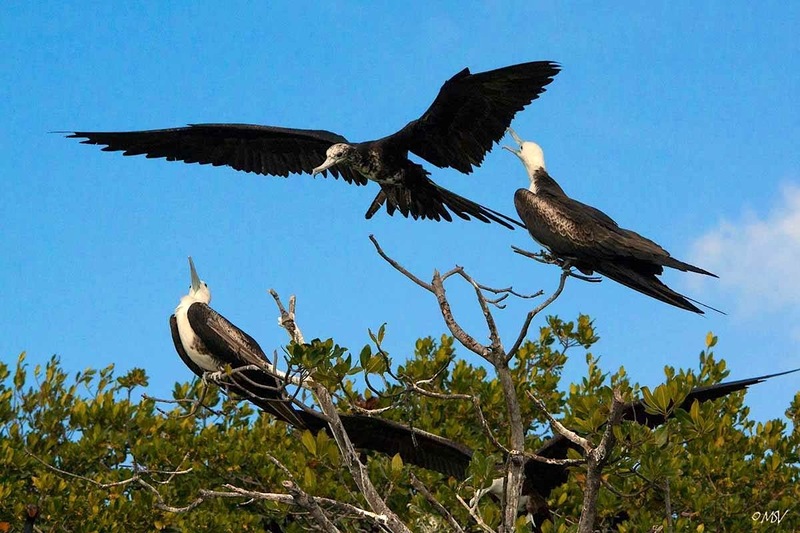 These birds are sky-pirates, stealing fish in the air from other birds. 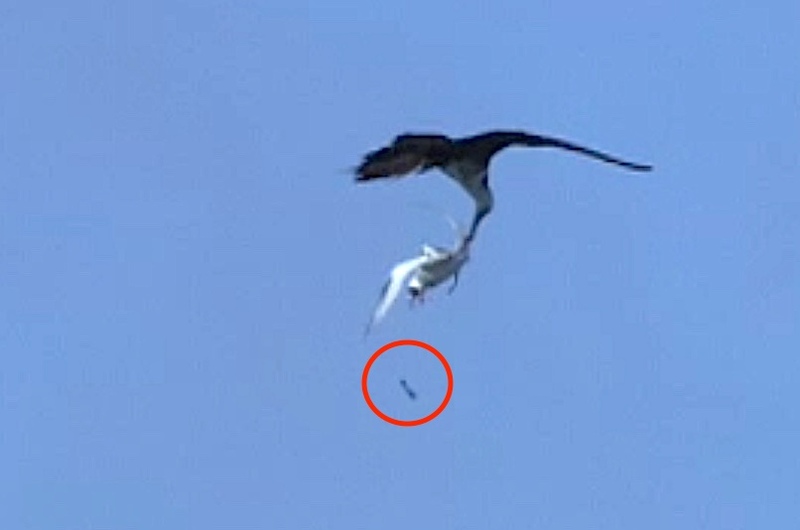 Tropicbirds are a particular target. 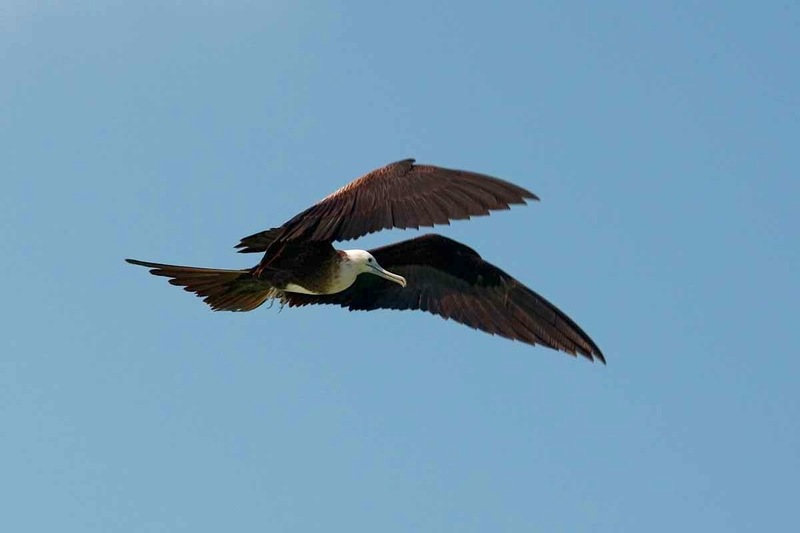 They catch fish and keep them in their gullets as they fly back to the nest to feed their young. 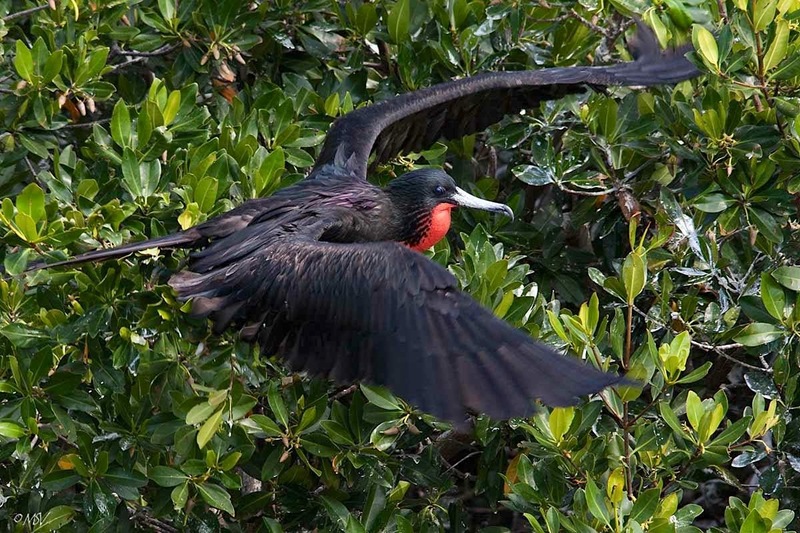 The frigatebirds will swoop on them, catch them by the leg and hold them upside-down until they regurgitate the fish. 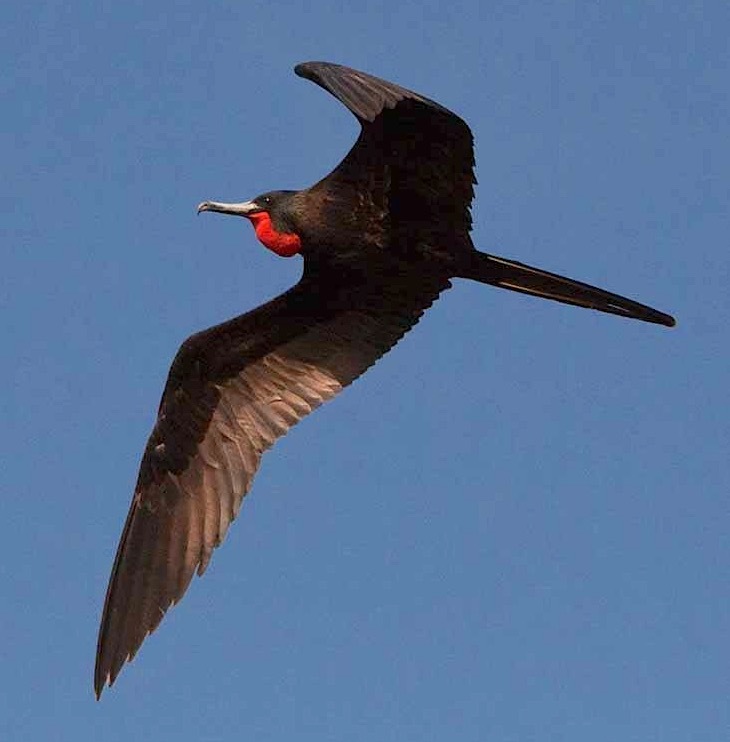 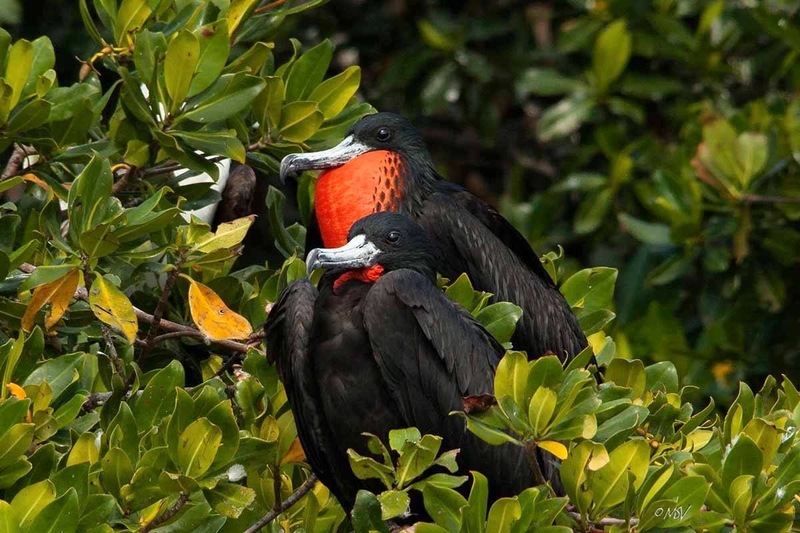 Often the frigate bird will manage to release the tropicbird and dive to catch the fish before it hits the water.